Maybe the time has come and your laptop charger is no longer working. When that happens people always ask me if I can use a different laptop charger / cellphone other than the one that came with my laptop? I generally would just tell them no, not a good idea even though I didn’t fully understand the formula behind it. But I decided to look further into it so that I could be more informed about laptop chargers, power adapters, batteries and incompatibilities. Well one thing that has to be an exact match is the voltage of the power supply. If you use a power source with too much voltage you could overheat or fry the circuitry inside of your laptop rendering it useless. Too little voltage and you get no juice. Some say that you can use a power charger if it’s a little over or under but I would steer away from that. The amperage or current can be too high and it will not damage your laptop. The laptop itself will only draw as much current as it wants so a high amp rating is OK. But if it’s too low, it can damage the power supply by overheating it with too high of a draw. So, amps is equal to or higher than. Exact match the voltage and the amperage you can go higher on. How do I find the voltage / amperage of my laptop / charger? All chargers should have a sticker that looks like this. Your cell phone charger, laptop charger and even cellphone battery and laptop battery. Sometimes the laptop power rating can be hard to find so you may have to even remove the battery to find the voltage and amp rating. How about iPhones and Samsung Android MicroUSB chargers? Well if you use a random 3rd party charger you may notice that your cell phone battery gets extra hot. This is because they are made cheaply, sometimes excluding important amp regulating parts and may not send the amount of power that they claim to. I would stick to the manufactures charger to get the most out of your phones battery life. Overheating it constantly will reduce the amount of time your battery can hold a charge. Even using the iPhone and iPad charger interchangeably may not be the best idea. So again in conclusion you are better off sticking with the genuine charger from your manufacture even if it does cost more. It will save you money in the long run and you won’t drain your battery. It’s NOT only Voltage and Ampere! You HAVE to check for the POLARITY AS WELL. How do I find the amount of voltage that is applied to our laptop? What happens when the voltage and amp are the same, but the light to show its charging is flashing. What chargers can charge my Packard bell laptop perfectly? Well, it really depends on the adapter fitting for one but more importantly the voltage and amperage as stated in the article above. My asus charger fits in my acer charger hole and it charges just fine. Is it safe tho? If the voltage matches and you meet the minimum amperage. As stated above. I once bought an universal charger for my HP laptop. Matched up the voltage, and provided enough amps, but my laptop didn’t like it one bit. It basically shot CPU usage up for no reason, and the big sudden load was the power manager. When I unplugged the charger, CPU usage settled back to 0%. I returned the charger and bought and HP brand charger instead, which worked fine. I got a hp at 19.5v 33.3a. What charger can I buy? Hi I have Dell latitude D531 but I want to use HP adapter. Will it work? You gotta read the article and use those numbers man. So I found one of my old chargers from our basement has the same voltag, amperage but I am not sure if there is something else I should be aware of. 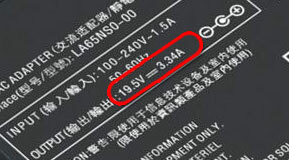 What if the voltage is only 1 volt higher than the required, and the amps are lower than the required, will that be safe for my laptop? Hello I have a chromebook charger which does not fit inside my acer computer so is it possible for me to stick some aluminum foil in my charger so it can charge? I would not do that lol. Hi I have an Hewlett Packard laptop but I don’t have that charger. I do have my ACER laptop power supply. Will it still take a charge? Do you think it will work? Well it really depends on the adapter fitting for one but more importantly the voltage and amperage as stated in the article above. So I have a different Acer laptop but the charger doesn’t work anymore. Can I use an Acer charger of a Chromebook laptop(of the same brand) instead? Sadly, I couldn’t find the input/ouput in the Chromebook charger so I was hoping it would be fine if I keep using the Chromebook charger. No, most likely your Chromebook charger won’t be able to give enough power to your Acer’s laptop motherboard, so it will run really slow. I’ve tried this before and my laptop was as slow as a sloth, I wouldn’t try it. Which laptop charger can I use for the Compaq Presario 1235? Any of these after market chargers are compatible. It’s hard to find a genuine OEM Compaq charger so you end up buying 3rd party. 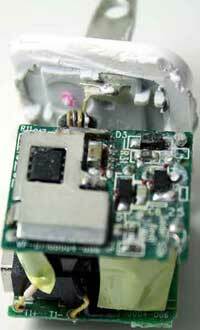 I charged an old hp laptop with a charger that belonged to a new model of hp laptop , and it worked pretty well for 2 days and on the third day I got my power ic fried to hell. My laptop is hp-compaq nx6110. I checked out many websites trying to find out if I could rely on my mini’s adapter (less amp) in the meantime or if I’d blow one of the two (lp or adapter). Surprisingly, no-one spelled it out as clear as you did. Thank! I have put my hp laptops charger, in a acer laptop,will it charge? Yes! Definitely!! But not a good idea I think!! It affects battery life.